The fishing has been excellent all week, and despite the gale for two days, very consistent. 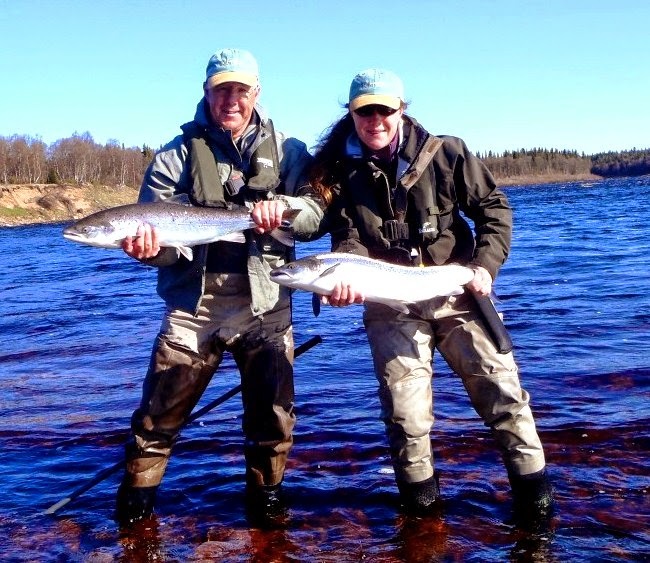 In the first four days the scores for salmon landed were 66, 63, 74 and 70 – and virtually all our ten guests have exceeded their personal best for a day’s salmon fishing. 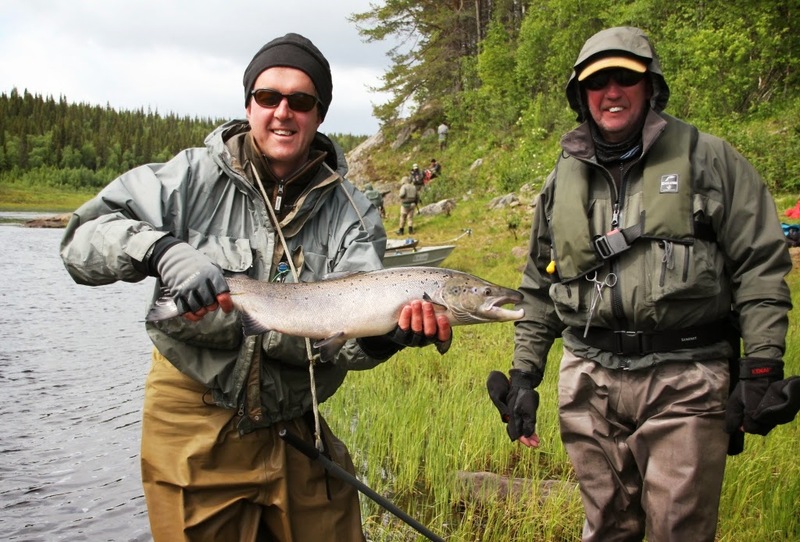 Everyone has made the most of the fishing here, all are experienced enough to realize just how good it is. Terry and I have much enjoyed watching them and helping them (I hope!) experiment with Bombers, small skaters and hitched Sunrays. 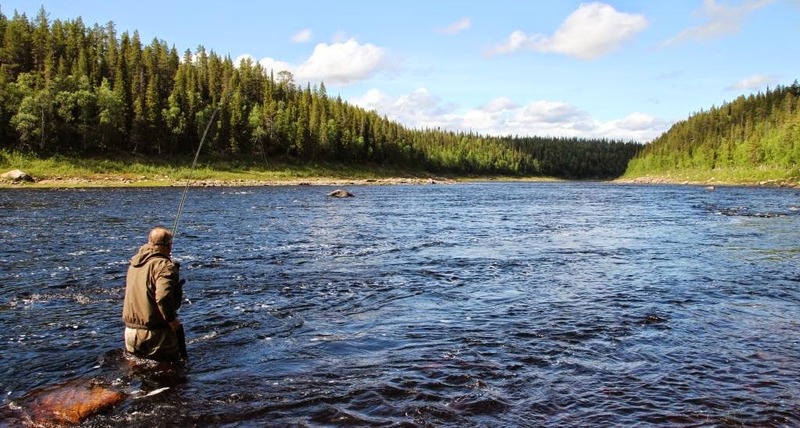 Yesterday morning was pretty chilly and it did not feel really ‘fishy’, however by lunchtime the weather had softened and we had a tremendous afternoon, with all the beats, top to bottom, fishing well – and with the added bonus of a run of fresh grilse splashing through. 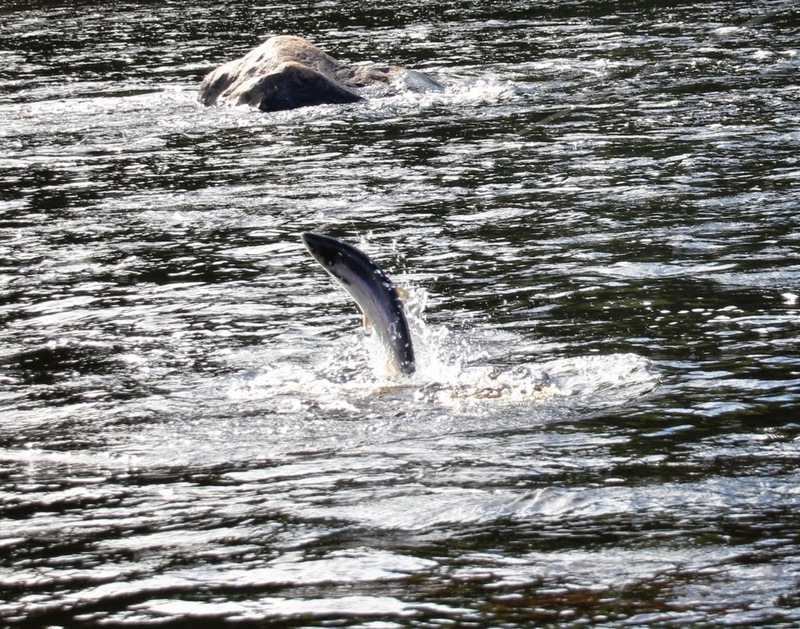 We had our best day since 12 June and recorded 103 salmon in the book to take us over 400 for the week so far. With one day to go the total for Middle Camp this year stands at 4,814 salmon to 67 rods, beating the previous record set in 2012. We leave tomorrow and this will be the last blog post from here. 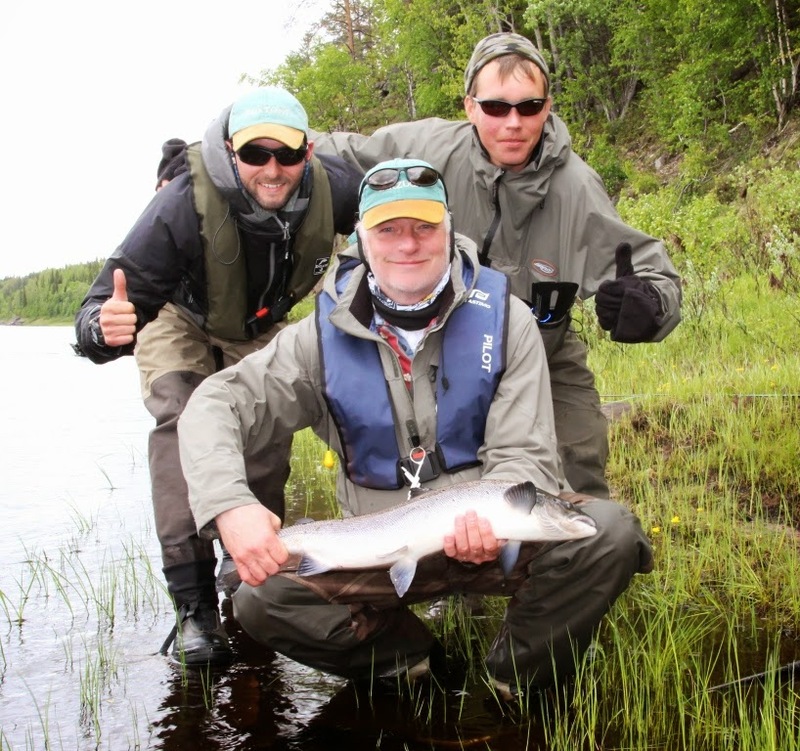 Next week we will post a summary of what has been one of our best salmon fishing seasons on the quite remarkable Varzuga. 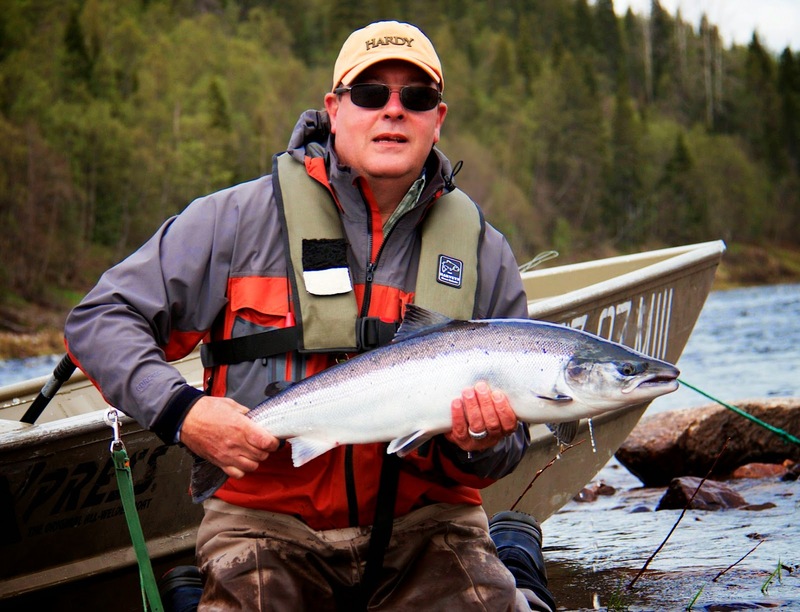 It is not just the wonderful salmon fishing that has captivated our guests this year. We fish in a pristine wilderness in the middle of nowhere; yesterday we saw Fish Eagles, a Merlin, Waxwings and even a Little Gull (rare up here). Steen P has now recorded 48 species of birds over his years here. Last week Freddie P and I sat in the sun on the Slabs up in Yovas canyon – we drank in the silence, the fresh air, the river running by our feet. We agreed that it was a privilege to be there. There is a great team of local Russian friends here, some behind the scenes, who make it all work. 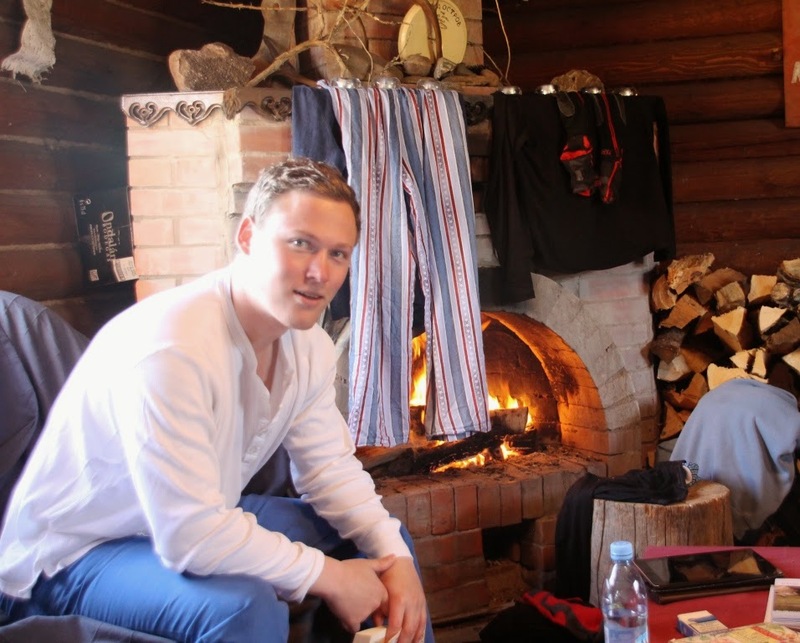 Vova on the generator, fire wood, the banya and other camp tasks. Luda, always in the kitchen, dawn to dusk. Jenna, and her daughter Arina, cleaning, washing up, making beds and running the laundry. Sonya, of course, skipping along the duck boards, collecting flowers and playing with the dogs. Zlarta, our bear dog and her two well grown pups who welcome us home in the evenings. 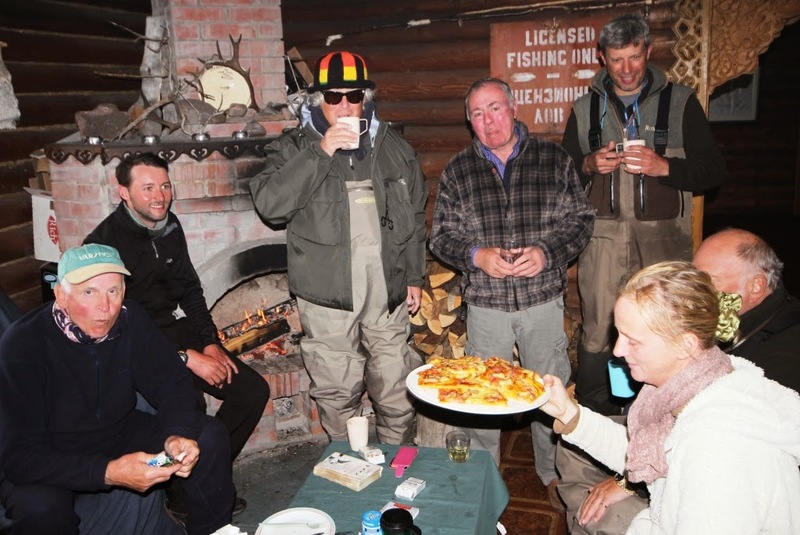 And the guides, Misha (the camp boss), Anton, Danya, Vova, Ivan and Sasha (who we reckon has netted over 1,000 salmon in 6 weeks). A huge thank you to them all. Tomorrow we will drag ourselves onto the helicopter, reluctantly homeward bound to reality outside this small island in the middle of nowhere. 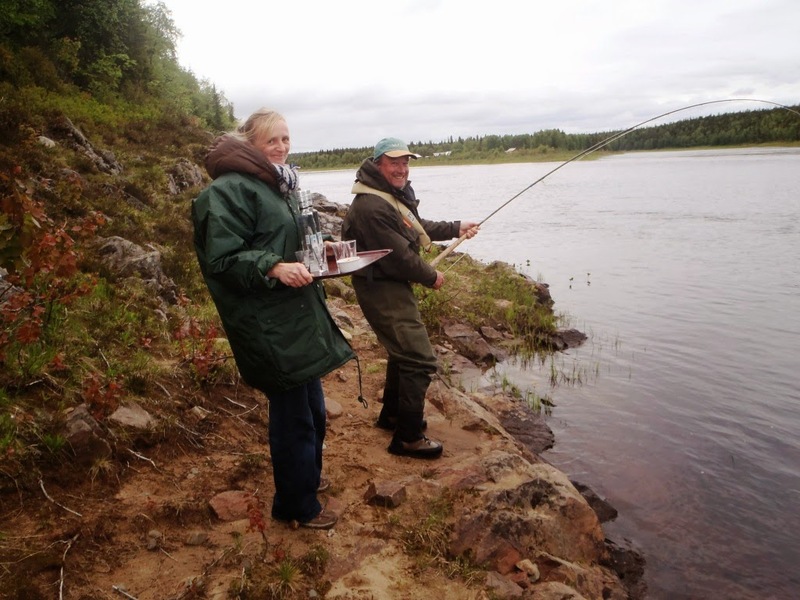 Of the 67 guests we have had fishing with us this year at Middle Camp only seven have not fished Varzuga before. 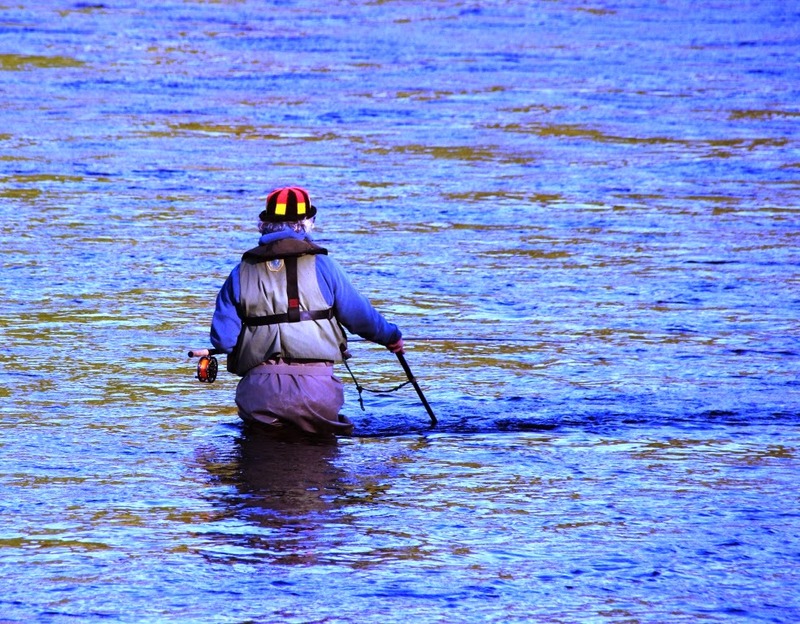 With so many fishers returning year after year as they get to know the river and its challenges inevitably they get bolder in their fishing and particularly in their wading. The slightly higher water this season has caught quite a few out. I have not reported on the Varzuga International Swimming Championships on this year’s blog as we have had so many entrants it is difficult to keep up with the scores. What I can report is that the gold medal will go to two guests from Belgium who worried their trusty guide by going for the Synchronized Swimming competition and floated gracefully past as a pair. We had lunch at Snake Pit and Donna brought up two roast chickens with all the trimmings to reward the mornings hard work. We relaxed for a few minutes and tried out various rods and lines with Terry talking us through the various set ups and their merits. Inevitably Simon R hooked a fish in front of the gallery which was duly netted by Bent H.
Just when Terry and I thought we would get through the season without a boat breakdown the starter motor on Skylark, our big boat, decided to fail up at Clarke’s – so we lashed her to my new Alumacraft and recovered her to our island camp to await Glenn’s attention next May. As always we have spare boats and engines here, but we are sad that faithful Skylark (launched in 1994) did not make it through to the end this year. 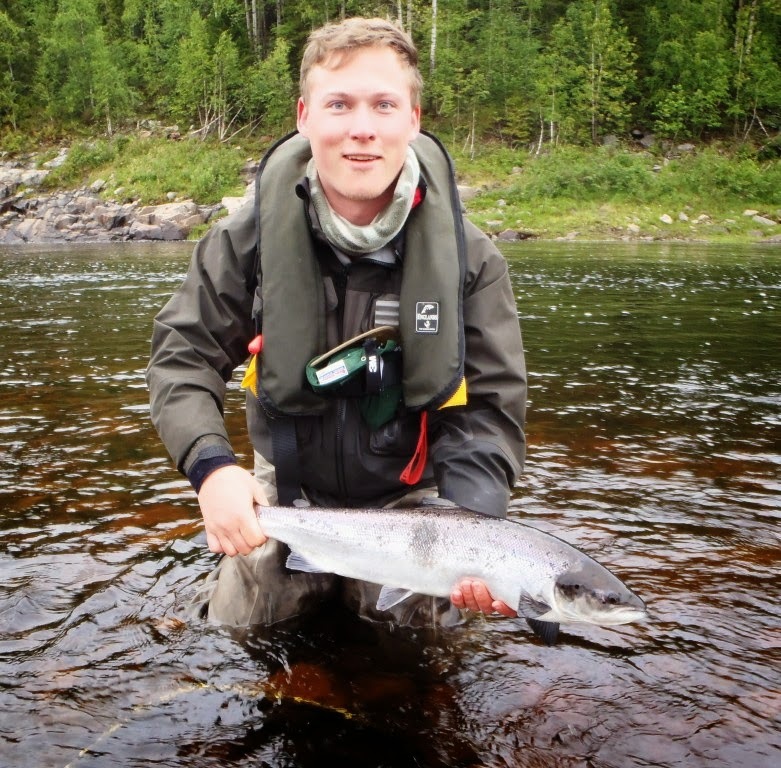 Up on the top beats Finn the Fish was finally out fished by his fishing partner Steen P, the score was eight to Steen and seven to Finn; all 15 salmon were taken from Scott’s which is fishing like a dream at the moment . Not to be out done Finn went out after dinner to level the day at 8:8. Overall it was another really good day’s fishing, the total of 70 salmon was pretty evenly spread with Simon R into double figures with 10. We had hoped for a good evening after dinner, but the cloud cover vanished and under the chilly, clear sky we only managed three from Generator so we called it quits early to get a good night’s sleep and be fresh for the last two days. The weather remains settled in from the North, not so windy today and with a mixture of sunshine and clouds; but still quite chilly, it is 10:00 here now and the air temperature is only 6⁰C – not a mosquito in sight! 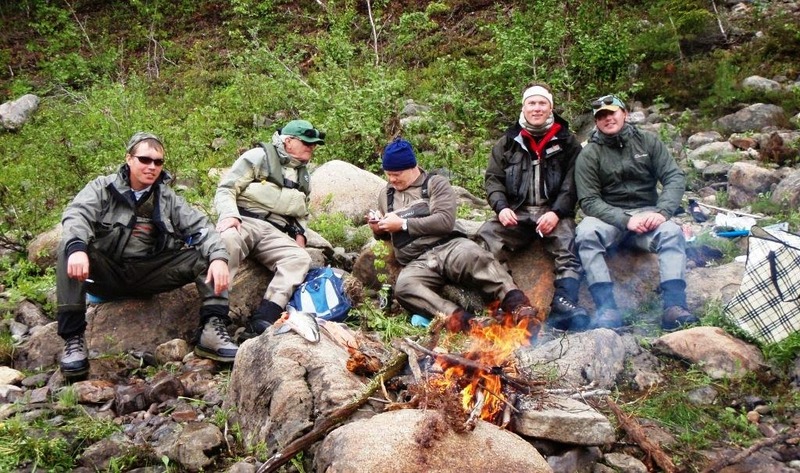 The Middle Camp on Varzuga lies on an island called Pond Ostrov. Our main home pool, on the East side of the island, is called Generator (years ago, when we had a tented camp, our generator used to be on top of the bank overlooking the river). If you made a reconnaissance of the 12 kms of river we fish here you would probably overlook the pool, certainly it would not be top of your list. Generator is a long, even draw, quite shallow and 1 km long; in high water all of it fishes well, in low water some sections are less productive, but having an even flow and a mass of underwater rocks and boulders it is highly productive. We tend to keep Generator out of the beat rotation system and it is fished mainly ‘out of office hours’ by those keen enough to have a cast or two before breakfast or in the evening. Generator flows South and the evening the light on it can be extraordinary as the Arctic sun sets to the North and the pines high on the banks are illuminated by a rosy glow. This year at Middle Camp we have caught, so far, 4,567 salmon to 67 rods in just six weeks, of which 786 have come from Generator (for those looking to question the figure this does not include East Generator!). 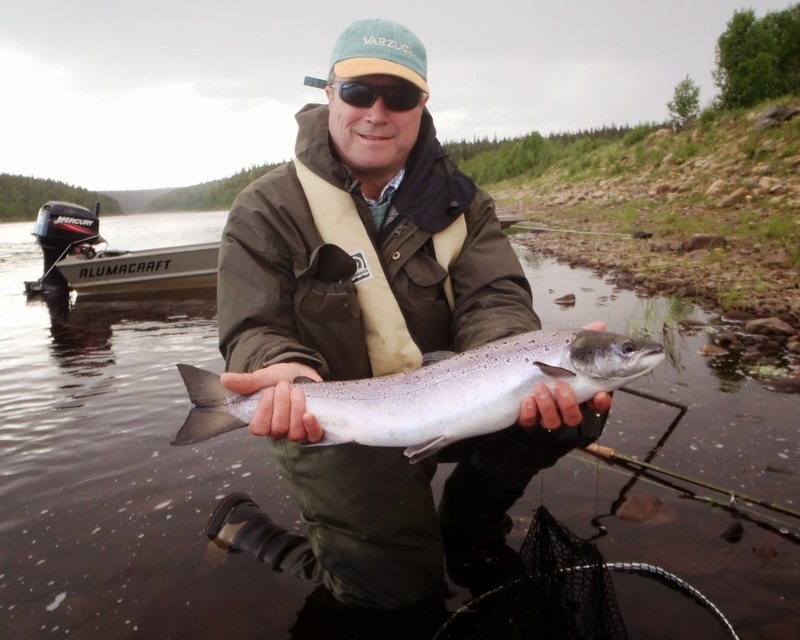 Many of those salmon have been caught by fishers experimenting in the evening with skaters, Bombers or odd flies that have lain in their fly box for years out of lack of confidence to use them elsewhere where salmon might be scarce. At the weekend our real generator started to play up - badly so. Anton and the guides went down to the village to collect the spare that has waited for a few years in the store just in case we had a crisis. It weighs half a tonne; how they got it into the boat, let alone up the river in the 15’ boat is quite beyond me, but they did. To shift it from the bank onto site took the usual clever use of Tundra Technology - rope, planks, canter-levers and the ever present Russian strength. It was a surreal sight – a half ton generator being manhandled up the bank, with one of our guests playing a salmon in the background in Generator Pool. 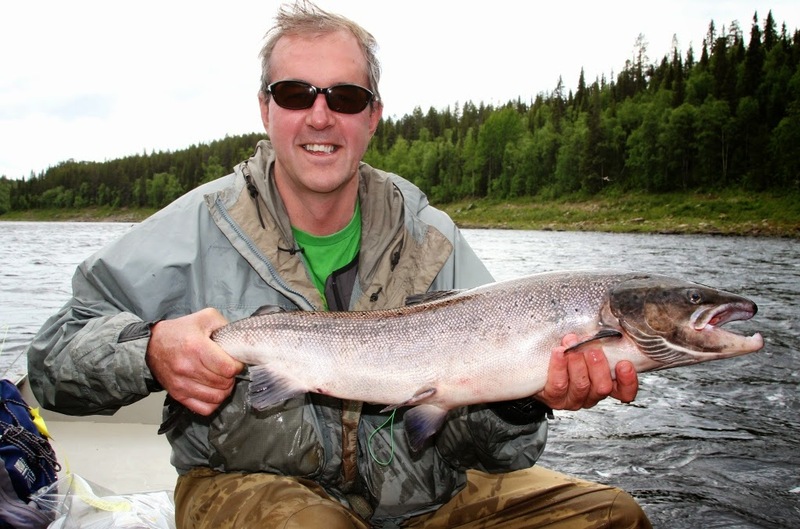 Yesterday we landed 63 salmon, with Simon R banking 15 of them including another 16lber as well. Clarkes, which has been a bit quieter than usual suddenly was full of fish and all beats continued to fish well; in the morning more pods of grilse splashed through. The water height and temperature is spot on at the moment, the only blot on the landscape is the strong North wind we have this morning, downstream thank goodness, but it is quite chilly so we are bringing the guests into camp to warm them up at lunch time. 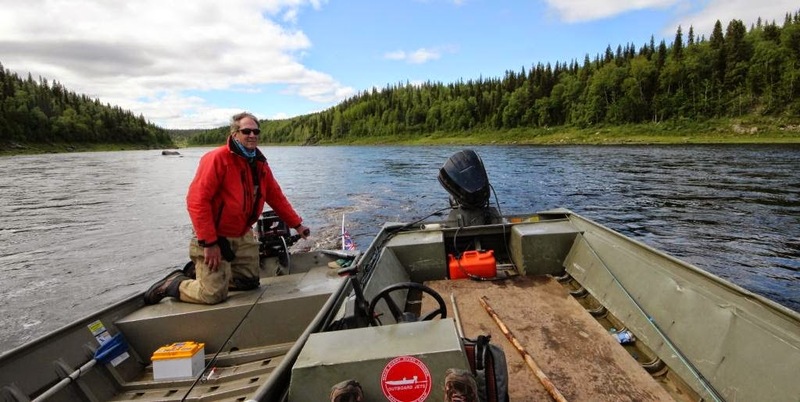 Despite the North wind Gordon B came into breakfast with a huge smile having landed two salmon in Generator and lost a really good fish that took him well into the backing before doing an aerial cartwheel which threw the hook. 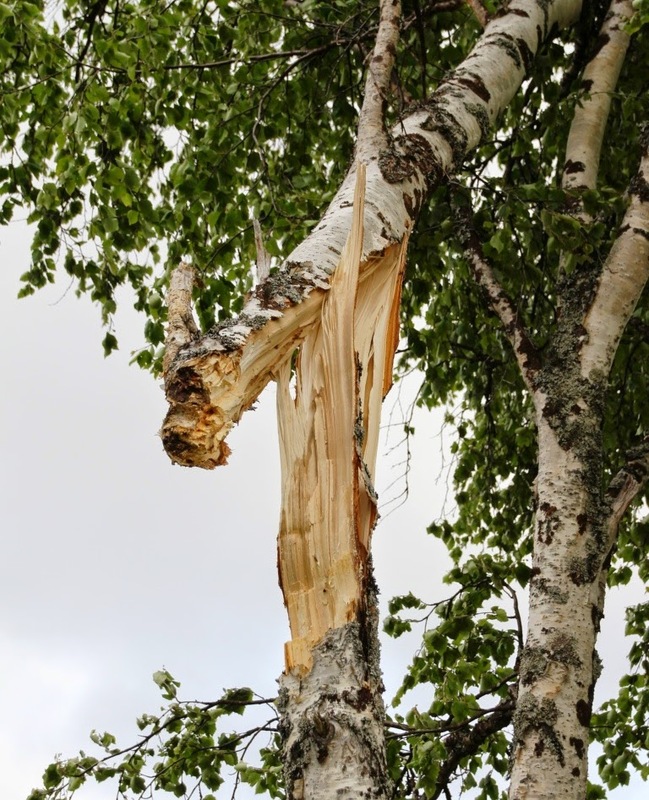 This North wind seems set in for today and tomorrow - so I am off to get in more fire wood from the store and the banya is being lit. I took up my habitual position this morning on the Lodge veranda with a cup of strong coffee, to ‘sniff the air’ as my father would have said, and to assess the weather and fishing conditions for the day. The smell of bacon and eggs wafted out of the kitchen. Around the corner, on the path to Generator Pool, appeared Paul R and Gordon B both with smiles so wide you could see them at 100 yards. 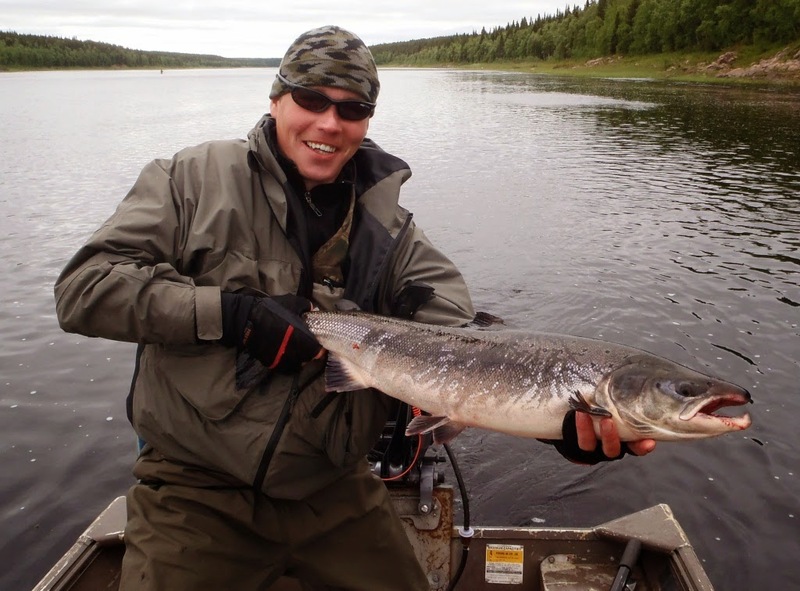 Paul had taken his first salmon on a Green Machine, a really small Green Machine on a size 12 hook and tied by himself. Gordon had continued his success with a Bomber and had landed two. Coming into breakfast with a fish or two under the belt sets you up well for the day and their smiles and the skip in their step said it all. Sunday was our first still, warm day for several weeks, all day the odd dark cloud hung over us in windless conditions threatening rain which came only briefly in the evening. Although the fishing was good it was a touch patchy and the team had to work hard for their 66 salmon. Finn S led the way with an excellent score of 18, seven of which he caught from Generator in the evening when the air felt a bit more fresh and clean. Gordon B and David B spent most of the day trying out Bombers, rising numerous fish and landing 12 between them. 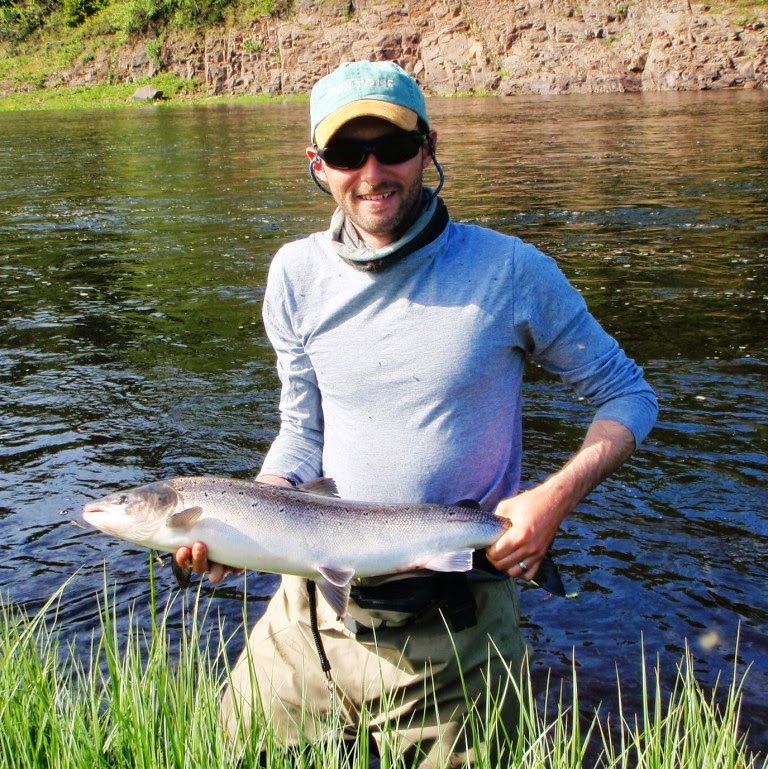 Simon R landed nine from the Yovas section including ‘salmon of the day’ on a Sunray from the tail of Blue Rock which we estimated at 15lbs – 16lbs. 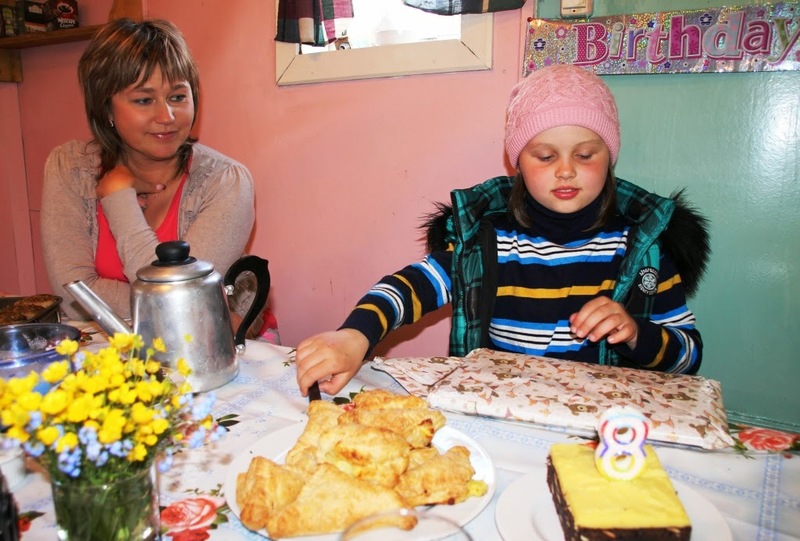 In the evening we celebrated young Sonya’s eighth birthday with candles and her presents and card sent out from England. 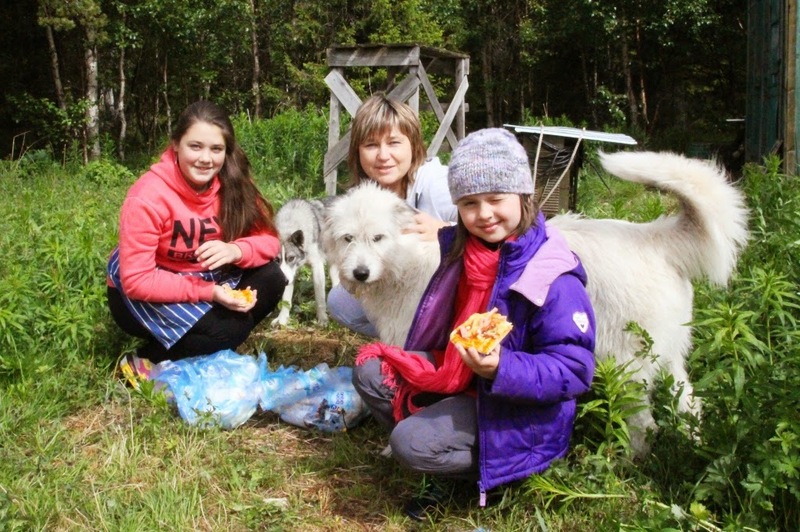 Sonya has spent the last four seasons here at Middle Camp with her grandmother Luda who cooks for the Russian team. 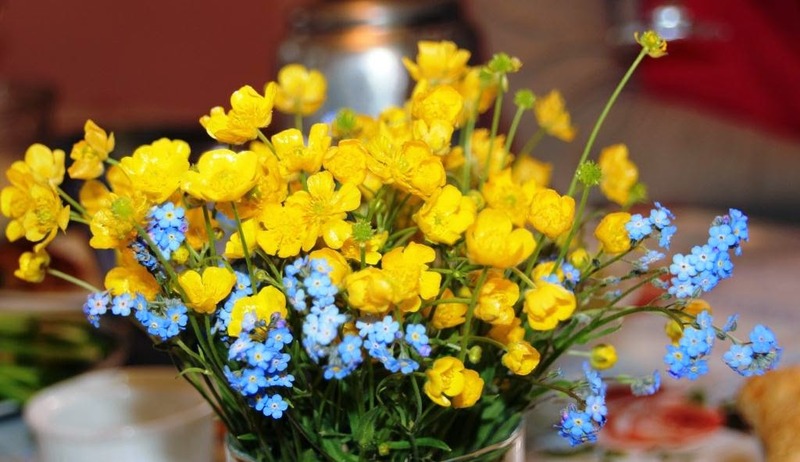 Sonya’s self-appointed camp task is doing the flowers for the dining table; she spends hours collecting wild flowers and making her arrangements. 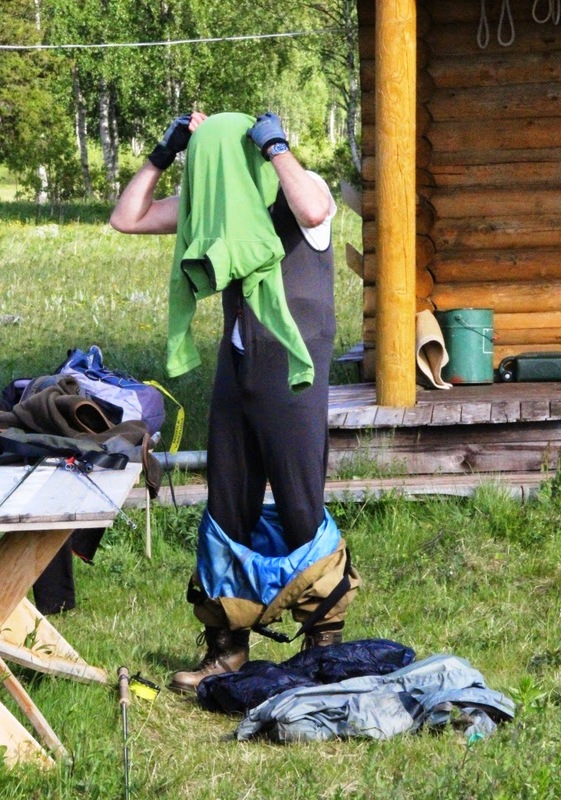 A really charming touch to our life in this beautiful, remote, wilderness camp. Today has dawned fresher, a good breeze from the North (downstream to help the casting), our water level is steady and the water temperature 11⁰C, just about perfect conditions. The wind from the North really kicked off yesterday, and it was cold and grey. At breakfast Misha just said "big windy" and Donna knew it would be a tougher day on the river so she set about a really warming lunch. We lunched up at Snake Pit again and by boat Donna delivered hot pizza, masses of soup and stuffed baked potatoes to warm up the fishers. Despite the wind we did well and the team of nine rods landed 74 salmon with James D, Freddie P and James F all into double figures again. Hugh S and James G fished the very exposed Party Pool in the morning where the wind gave the normally smooth glide quite a wave. Hugh landed a really good fish of about 16lbs, his largest so far. In the afternoon they fished Simmons which they declared ‘stuffed with fish’ and in a very productive two hours landed 15 salmon. Despite the wind experimentation continued and Freddie P had two good fish on a tiny skater. 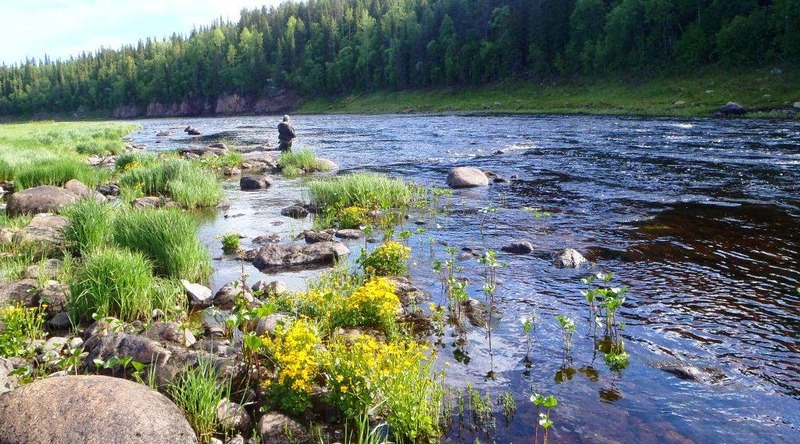 I always encourage trying flies or methods here on the Varzuga that at home you may not have the confidence to fish. 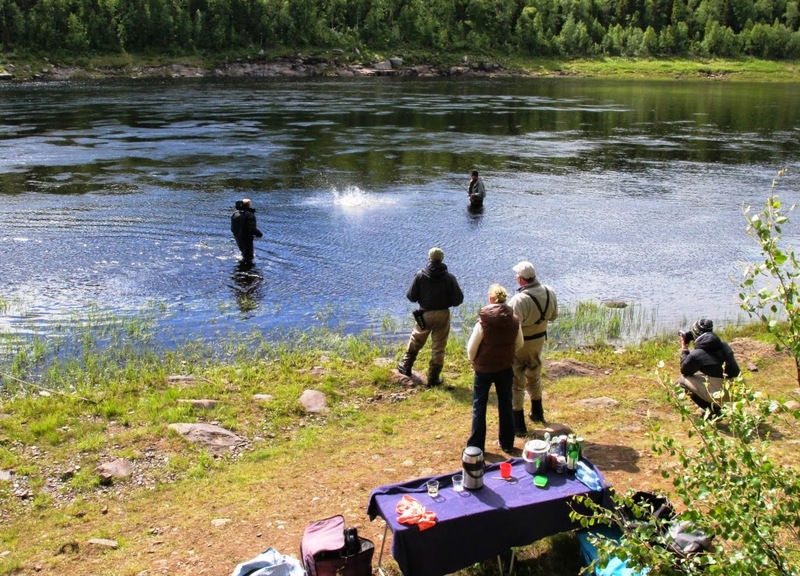 Many rods leave here delighted to have set a personal best record for a day’s salmon fishing but with a tinge of regret that they had just thought about ‘how many’ rather than trying out different methods and flies. Pana, being well up river from here and higher in the watershed, had a really cold day with the same strong North wind. 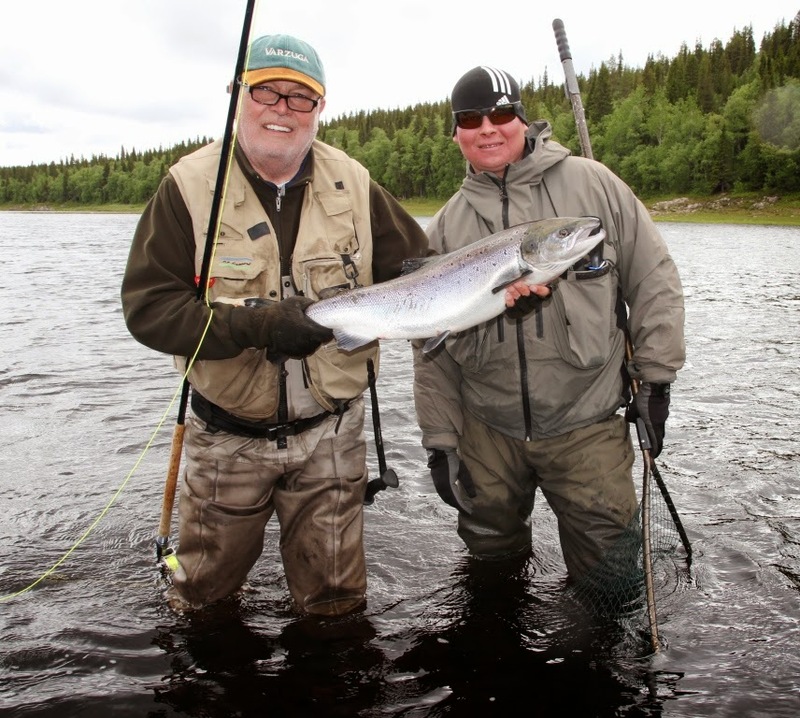 Rollo reported a slower day and they finished with 34 salmon in the book – even so not exactly a salmon fishing disaster! They picked up quite a few fresh grilse, probably the big run that we had come through here at Middle earlier in the week. Kitza remains its consistent self and our Spanish team had another excellent day with 65 salmon. The week has flown by and this morning breakfast was over quickly and the rods have set off to make the most of this remarkable year on Varzuga. 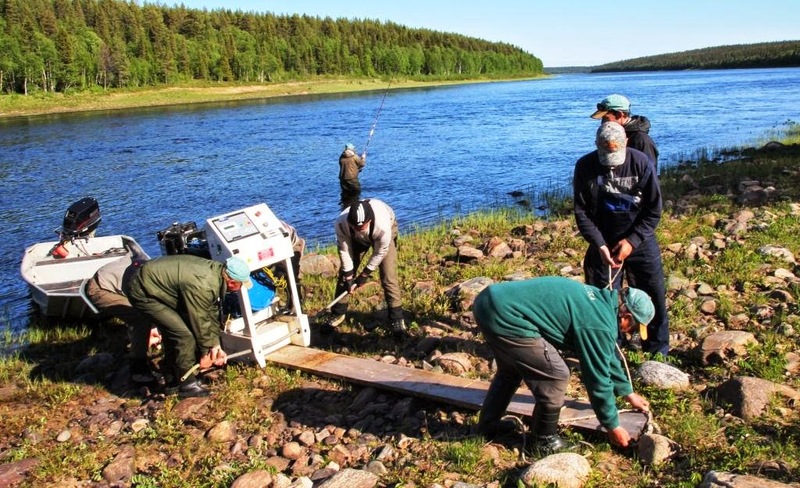 Tomorrow I go to Murmansk to meet our new guests so I will not update you until Sunday morning – it looks at the moment like we will end up with around 1,200 salmon to 26 rods this week. The three groups in Middle, Kitza and Pana have fished pretty hard in some really varied and cold conditions; I expect quite a lot of snoring on our charter jet home. Oh! – Emma – have those scissors ready – I’m afraid Freddie really is coming home in his waders. Tuesday was always going to be a tricky day, a rising river, cold and windy and just not ‘fishy’; yesterday was much more settled and the guides felt confident we would do much better than the 49 salmon landed the previous day. And so it proved. The team recorded 79 salmon, with all the beats fishing well. Of note were 10 salmon of over 10lbs, the biggest of 14lbs landed by James G who had an excellent day up at Scott’s and Pasha’s. Ollie L and Freddie P also had a cracking time with 28 between them and Mark de G had his best ever day with 13. A very good result and, with a banya to warm us up on return, we had a very content and happy team here last night. Most evenings we take the big boat down to Party Pool after dinner for an hour or so experimentation. It is an easy option and great fun; we take two guests who can fish in their shoes, no waders needed, just a warm top in this weather. We drop the boat down the pool on the anchor rope slowly, the purpose being to try different flies, something unusual normally and then we see what happens. Last night Ollie L fished a Green Machine right on the surface and James F a traditional #8 Cascade. It was really cold, 3⁰C, and we felt we would struggle with the Green Machine. We rose a few to it, and James F had a few plucks to his Cascade, but it was not until right at the tail of the pool both of them hooked and landed fish within a few minutes of each other. 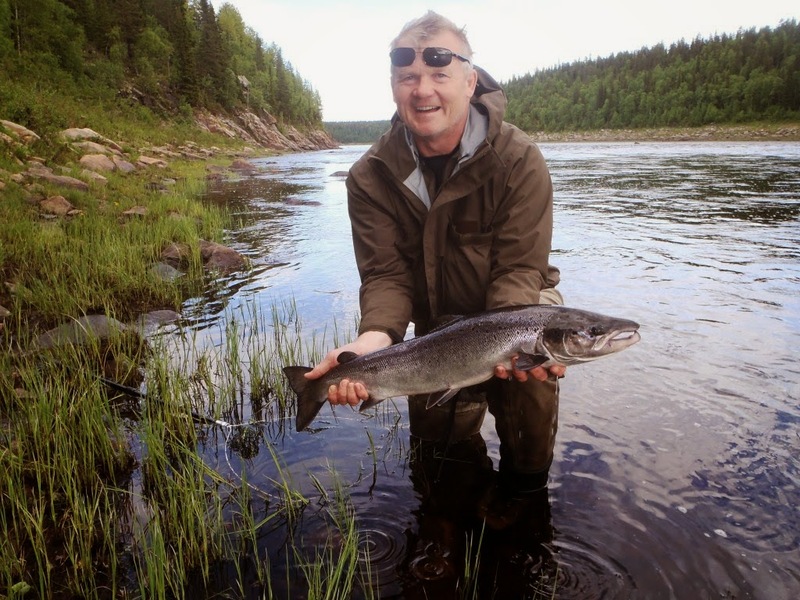 It just proved that even if the air temperature is significantly colder than the water temperature salmon can be caught right on the surface, albeit not in the same numbers as in better conditions. Kitza had another good day with 65 salmon landed including a further 20lber from Beaver Pit. Pana too did well with 54 George S leading the way with 14 caught between the Tail of Lagoon down to Lunch Pool. It is cool and grey again today, with a very strong downstream wind which might make things difficult up in the Yovas canyon where the wind can swirl about and make casting frustrating. I’ll let you know how we get on tomorrow. It was uncomfortably cool and wet yesterday and the river rose a couple of inches. Unsettled fishing conditions. Father and son, Peter and James D, remained out all day but the rest returned for lunch by the sitting room fire. 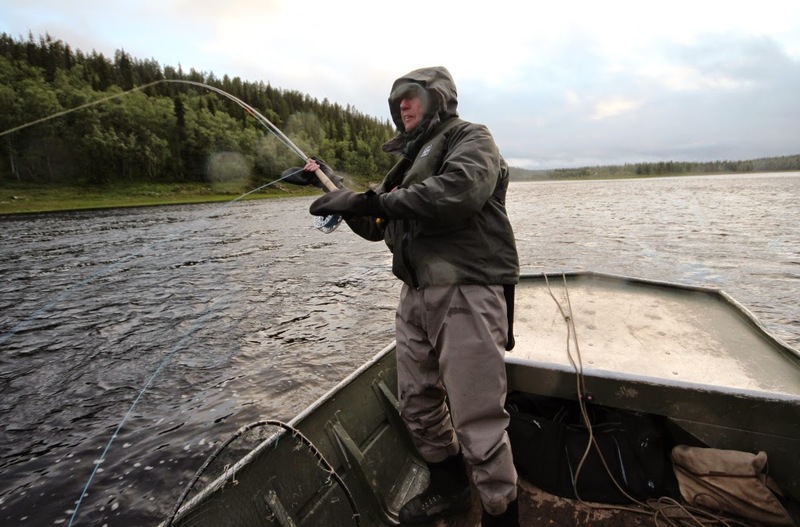 The morning was tougher fishing while the air temperature remained depressed at around 4⁰C. The rain and drizzle eased in the afternoon, it was never warm, but certainly better than the morning, and the fishing picked up. Fresh grilse were splashing through and I took Hugh S off in the afternoon to try and get him his first salmon on a skated fly. 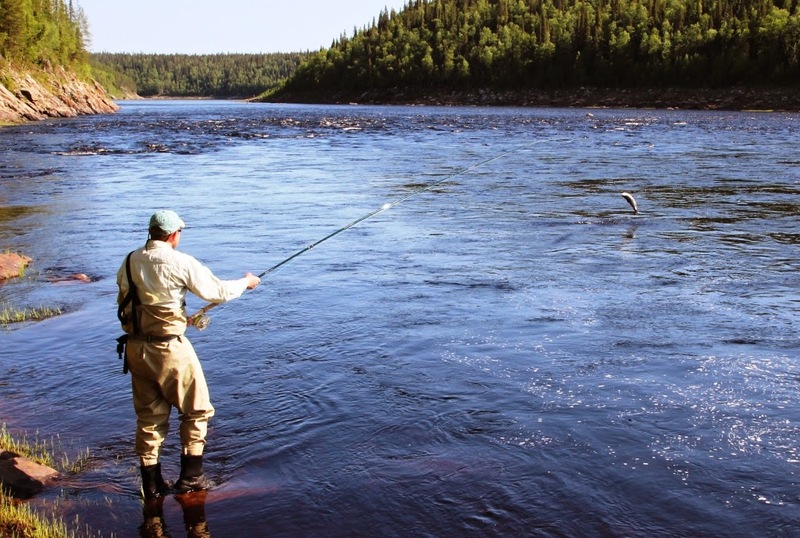 It is, by far, my favourite method to fish for salmon. 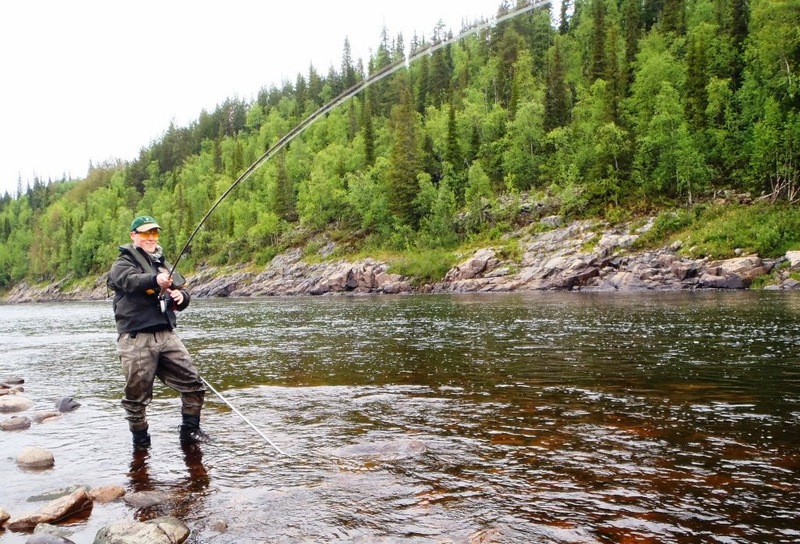 It is ‘visual’ fishing, you can see the fly skating steadily across the pool, the take can be aggressive or sometimes like a lethargic trout taking a mayfly. 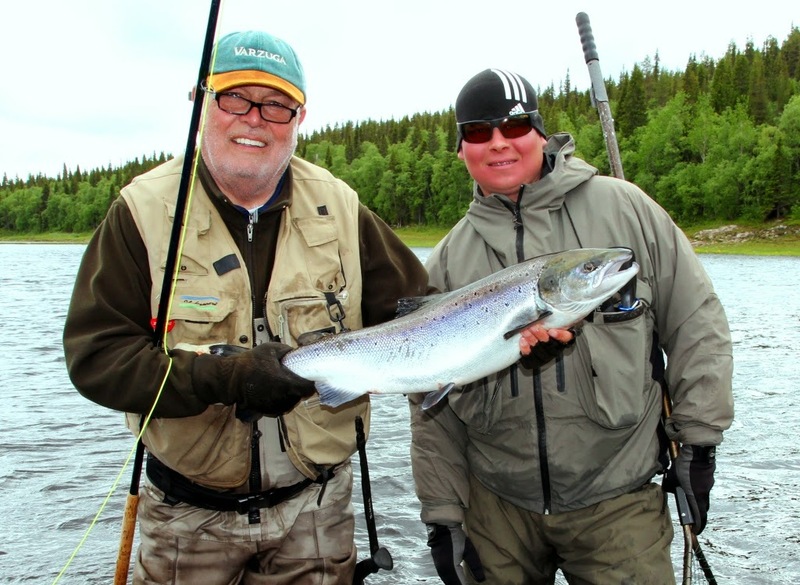 It is also a winning way to learn fly control, and that was part of my aim with Hugh. 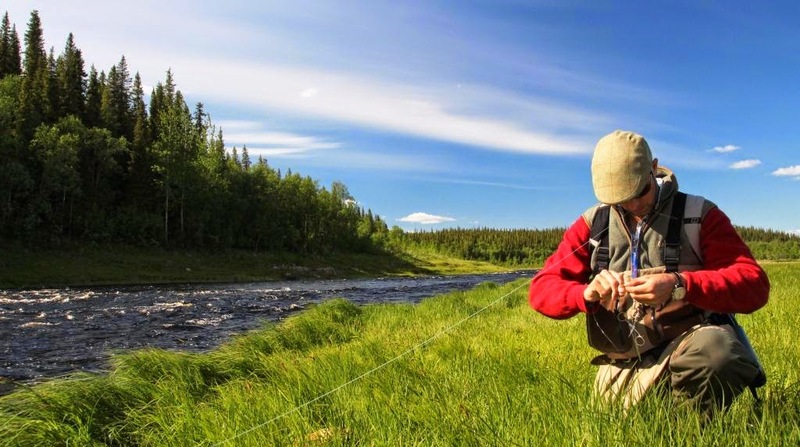 Because the fly wakes across the surface you soon learn the effect that a downstream or upstream mend has on the speed your fly fishes at, and you can experiment lifting or lowering the rod to increase or decrease the speed. 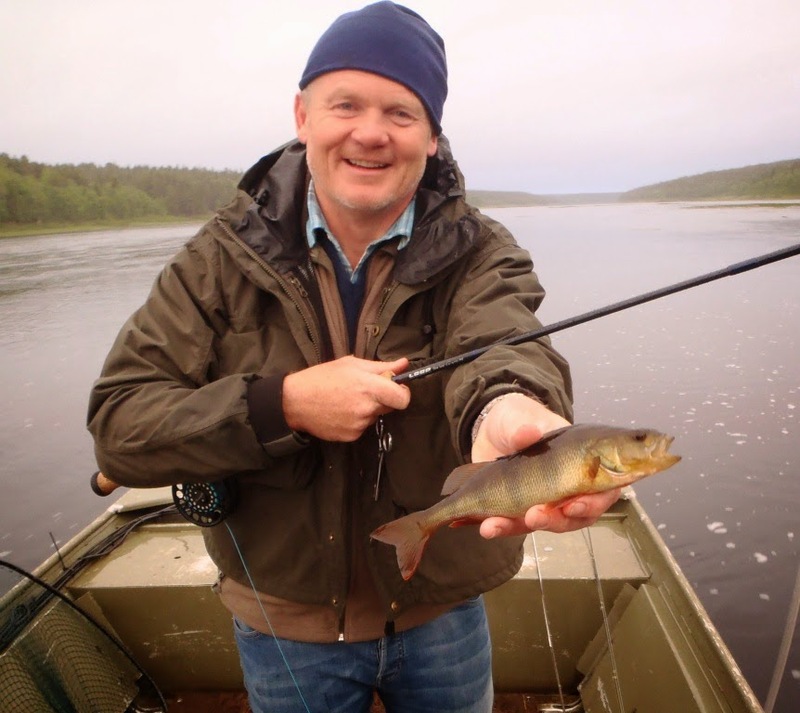 Hugh soon had two fresh grilse on the bank, both classic surface takes on a glassy ‘tail out’ above Madonna’s. His smile said it all and we headed home to warm up in the banya. Our nine rods at Middle landed 49 salmon yesterday plus a pike. At dinner we thought we ought to make it 50 so Freddie and James came with me in the boat to try Party. 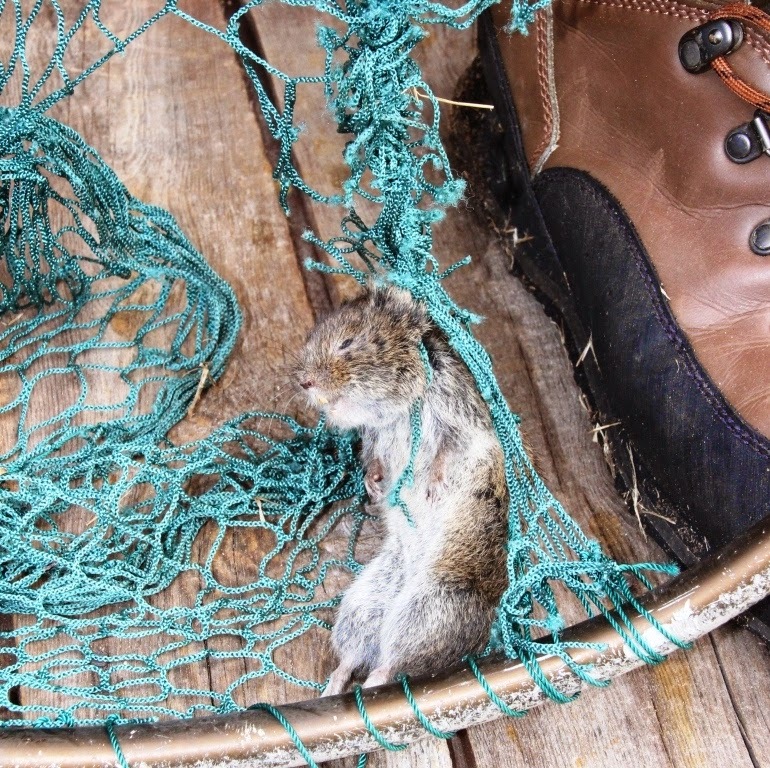 The odds were stacked against us, it was raining and the air temperature 3⁰C – they rose a couple of uncommitted salmon but it was pretty dead really – as I was lifting the anchor for home Freddie hooked and landed a perch on a half inch skated tube. Not a salmon I know, but one of those minor fishing triumphs that we felt meant that we had not blanked on our mission. Pana too had a slower day, the water rose and it remained quite cold up there. They finished with a round number of 50 fish, 11 coming from the float trip. Kitza has again benefited from the lake system above, their water height has been stable now for three days and the water temperature also stable at a perfect 12⁰C. The Spanish team of nine had another cracking day landing 81 salmon, 10 of which were caught from well below camp in Long Pool as they continue to pour in from the sea. We look forward to welcoming our new guests on Saturday – the weather looks, at the moment, a bit more settled next week. I suspect it will be the usual mixture of floating or intermediate tips and a range of flies from skaters, conventional double hooked flies of #6 - #10, or small’ish heavy tubes if you want to fish down and slow. Please remember that the weather conditions vary from really cold and damp to shirt sleeves in 24 hours – best to come prepared! It started raining last night about midnight and this morning it continues wet and cold. The air temperature is 4⁰C and in the steady drizzle it feels cooler than that. 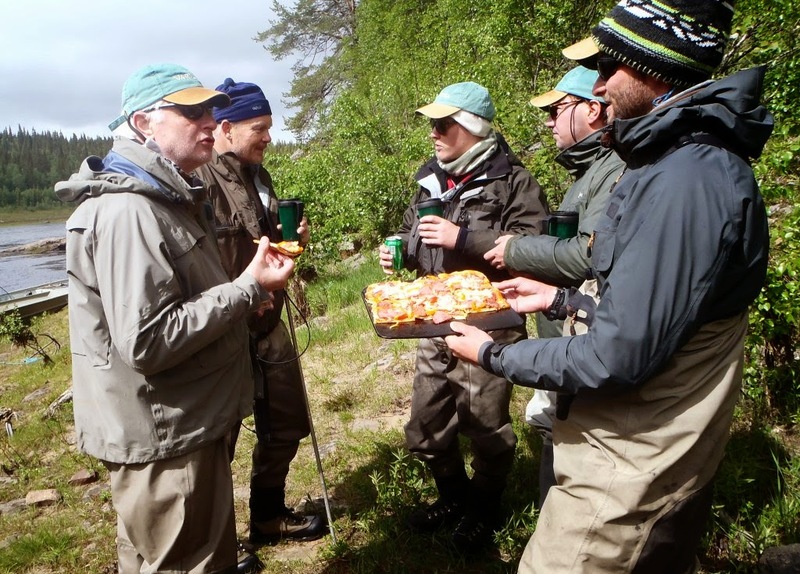 Our guests lingered over breakfast, no one was in a rush to get out on the river and we decided that lunch would be in camp today. 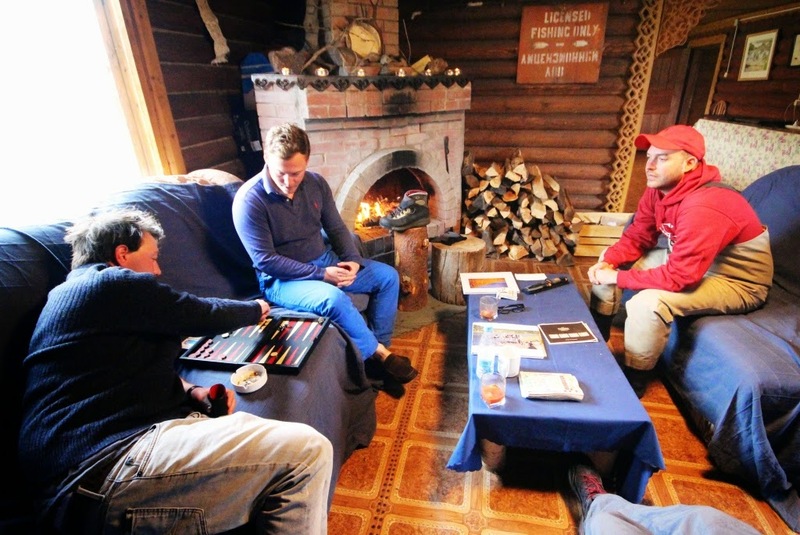 The fire in the sitting room will remain lit all day and Misha is firing up the banya to revive the team this evening and to act as a drying room for 9 sets of damp clothes and kit. 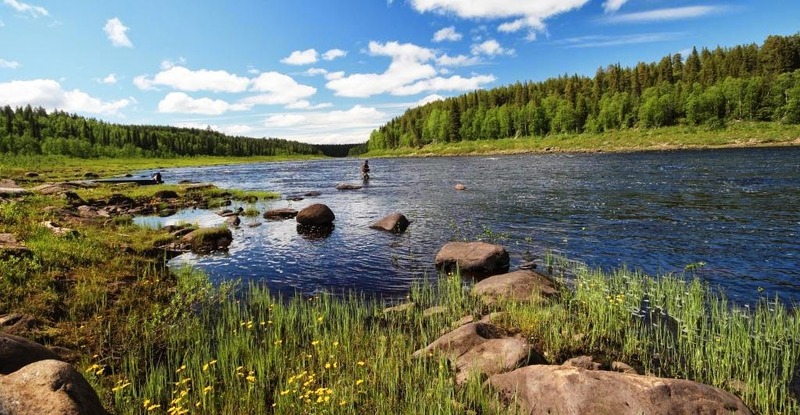 Quite a contrast to yesterday when we had a glorious Kola afternoon; a blue sky and high, puffy white clouds contrasting with the vivid green of the silver birch trees and the bright yellow buttercups along the river bank. Up river at Pana they had another excellent day recording 64 salmon including two of 20lbs, one to Charlie McV from the tail of Lagoon and the other for Willie G from Ponzoi. Boating down river to Ponzoi has become a little more tricky now and they are walking the boat through the rapids below Lunch Pool. Tom and Ura at Kitza are also just beginning to adjust the boating regime. They are getting through to Third Island and walking up from there. The nine rods had 63 salmon yesterday with the third 20lber of the day falling to Emillio R G from Third Island. Fresh fish are continuing to run in and they picked five silver bars out of Sasha’s in the afternoon session. Middle Camp had 65 fish for the day. Top of the leader board was James D with 14, closely followed by Freddie P with 13. I joined Ollie, Freddie and James F up at Scott’s after lunch and then guided Freddie down the wonderful streamy water of Yovas, through Tiffinie’s and Slabs. 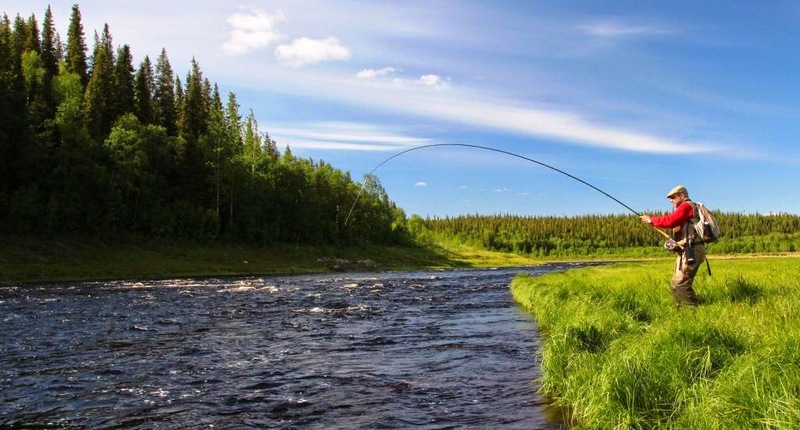 We have so much water to fish up there that some pools do not get fished at all in a week, and there is a real sense of anticipation as you swing a fly down a pool that may not have been covered for days. We fished late and on the way back I stopped off at the tail of Robinson’s Folly (so named because some years ago I discovered the pool by running my jet boat, full tilt, onto the gravel bar from which we now fish it). A new gravel bar has appeared just above Upper Fortress, as the water drops so the whole river is forced through this classic glide and into the V of the tail. Freddie tried a Green Machine fished right on the surface; smack in the middle of the V he was rewarded with a wonderfully aggressive ‘head and shoulders’ take from a strong fish which we netted and estimated at 10lbs. A memorable end to an excellent day. This rain will raise our water level over the next 48 hours, good news for those coming next week although I suspect that a rising river may depress our catches for a day or two. 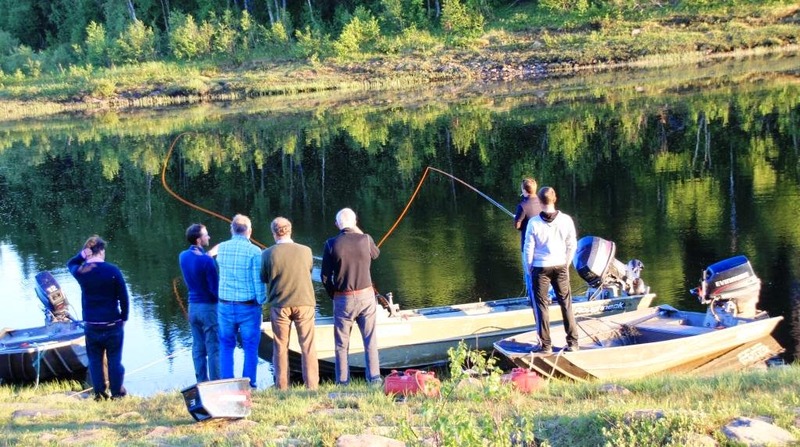 But hey ho – it will still be amazing fishing by any other standards.